The 12 homes at Birch Hill Estates are available on sites that measure a third of an acre. A variety of floor plans are available. 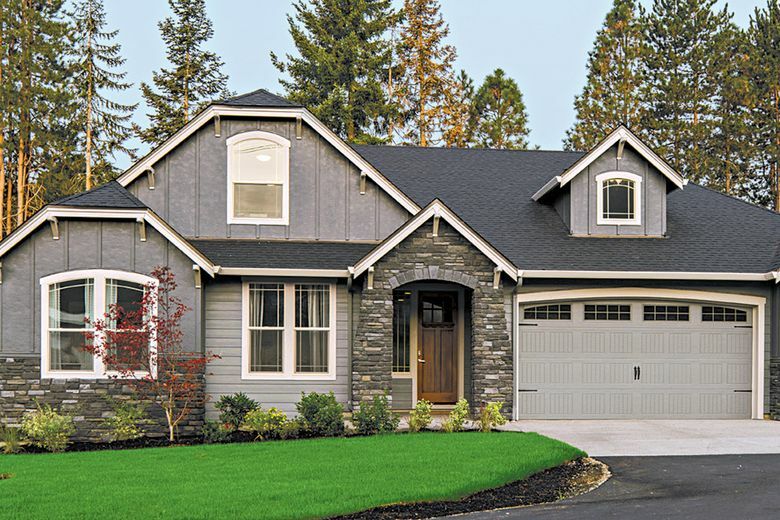 STEILACOOM — Birch Hill Estates is the only brand-new home community with water views that is selling in the south Puget Sound, according to Matt Lewis, president of the community’s builder, Garrette Custom Homes. Lewis says he expects a mix of families and empty nesters to purchase at the 12-home community. “Single-level living and the privacy of the greenbelt lots will appeal to older buyers, while the proximity to the school and large, flat lots are sure to attract the families,” he says. Garrette Custom Homes will celebrate the grand opening of Birch Hill Estates from 11 a.m. to 3 p.m. Sept. 15. A food truck will be onsite, and visitors can tour two furnished model homes and walk one of the four remaining water-view homesites. Lewis graduated from Steilacoom High School but was away for nearly 20 years before moving back in 2013. Most of the homes at Birch Hill Estates offer views of Puget Sound. In 1854, Steilacoom became the state’s first incorporated city, and its earliest settlers had eyes on becoming a northern San Francisco — a bustling hub of trade and commerce. However, Northern Pacific Railroad’s decision to locate its terminus in Tacoma at Commencement Bay meant the county seat was moved to Tacoma a few years later, in 1880, ending Steilacoom’s San Francisco aspirations. Instead of hustle and bustle, modern day Steilacoom offers small-town Americana with top schools, numerous parks and open spaces, and a walkable shopping district. Parts of today’s Steilacoom may not look too different than the late 1800s, particularly the waters of the Puget Sound and forested islands to the west. Pioneer Park parallels the water just north of the ferry dock and offers sunset viewing locations. Hundreds pack Pioneer Park on Wednesday evenings for a summer concert series — one of many locally sponsored events in the town of just over 6,000 residents. 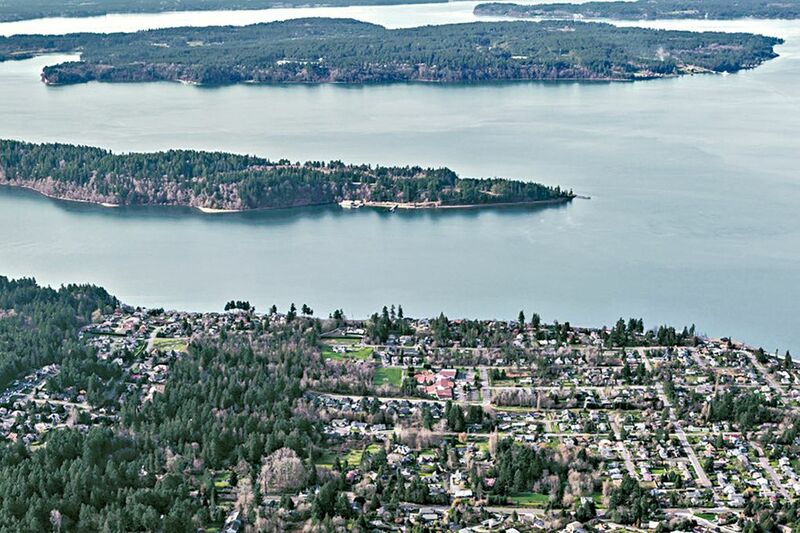 Even in the oldest community in the state, there are still undeveloped building sites and new homes for those looking to move to Steilacoom. At Birch Hill Estates, sites that measure a third of an acre offer homebuyers choices of floor plans, including large ramblers. Prices at Birch Hill Estates start in the mid-$600,000s, and most have views of Puget Sound.